At Anglian, we take pride in our in-depth knowledge of windows. Whatever your query, we're here to help. And it looks like you're in the right place - our window buying guide has been designed to answer all of your questions. New windows are an investment, and we're here to ensure you make all the right decisions for your home. Double-glazed windows are a modern day essential and, alongside style, they improve energy efficiency and security. Our guide will help you learn more about the science behind double and triple-glazed windows, explain how they can add lasting value to your home and provide you with in-depth information concerning window care. Style matters too of course, and with every window being made-to-measure we offer the highest level of customisation at Anglian. Your options are almost endless, and we're here to work with you to make your windows unique for your home. New windows are certainly an investment, but is it one worth making? See how installing new windows can make your home more attractive to buyers and add lasting value to a property. We proudly carry the 'Made in Britain' marque, a true indicator of the expertise and quality behind each of our custom-made windows. Double or triple-glazed windows help to improve security, energy efficiency and add style to your home. At Anglian, every single window is made-to-measure and designed to reflect your personal taste. When it comes to choosing your new double-glazed windows, every customer has three essential steps to consider. First, there's the window frame. 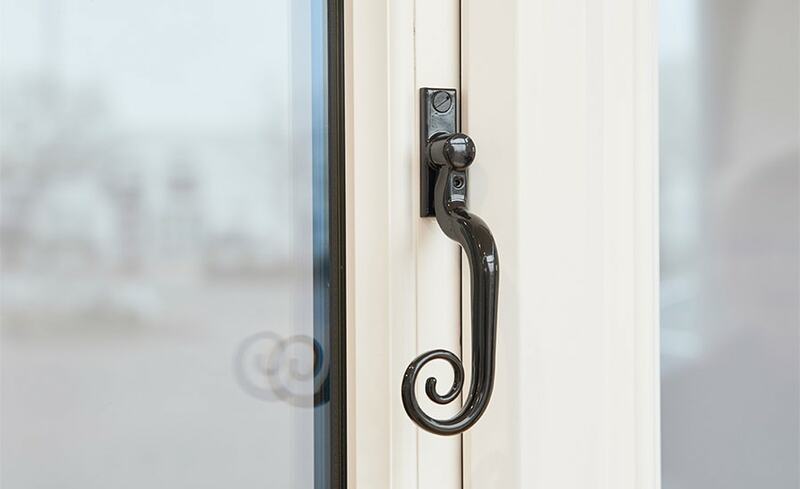 We use a range of high-quality materials, including uPVC and wood, to produce our frames. We cater for every style too, offering a variety of colours and finishes. Next, choose your glazing - we'll help you decide if your home will benefit from double or triple glazing. And, finally, we'll discuss decorative finishes with you to ensure your new windows are perfect, down to the very last detail. Complete your windows with uPVC, wooden or aluminium frames, available in a wide range of colours and finishes. And if you simply can't choose, we're here to help you discover which designs will be most complementary to your home. Should you get double or triple glazing? Double and triple-glazed windows are energy efficient, but which type should you choose? Double and triple glazing insulate the home and increase security, but each have their own advantages. Read on to find out which is most suitable for you. Ordering double or triple-glazed windows with Anglian couldn't be simpler. To ensure every single window is perfect for your home, we'll conduct a detailed survey of your property and spend some time with you to help you make the right design decisions. We follow six simple steps with every single customer so there's no need to worry. We'll be with you every step of the way - from the initial quote, to installation and even beyond into aftercare.